Today marks the first annual Religious Brothers Day, an initiative of the Conference of Major Superiors of Men and the Religious Brothers Conference. May 1 is the Feast of St. Joseph the Worker, and this year it also marks the first annual Religious Brothers Day. 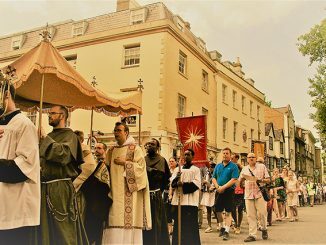 An initiative of the Conference of Major Superiors of Men and the Religious Brothers Conference, this commemoration is already shedding light on a vocation that too often goes overlooked: the non-ordained religious brother. In 2016, the Dominican Order celebrated its 800th anniversary. The Order has a long and profound history of preaching the Word of God, fighting heresy at every turn, maintaining the faith through troubling times, and safe-guarding the Church’s intellectual tradition. And yet, in spite of the order’s reputation and history, there is a little-known facet that helps to hold the Order together. On this first annual Religious Brothers Day, that facet is getting highlighted and brought into the light. They are known as Cooperator Brothers. These are friars who have taken solemn profession of vows as Dominicans, but who do not have vocations to be priests. They have been a constant presence in the Order of Preachers since the beginning. The Dominican Province of St. Joseph, in the eastern United States, is holding an informational “come and see” weekend in New York City October 6-8, 2017, and has produced a short video highlighting the work of their Cooperator Brothers. In addition to numerous solemnly-professed brothers, this province now has four cooperator brothers in simple vows, preparing for their solemn vows. One of these is Brother Martin Davis, OP. 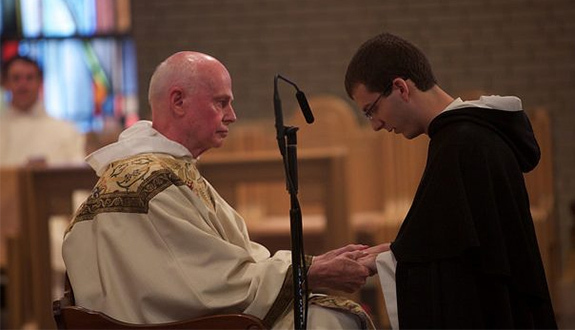 He is currently finishing his second year of post-novitiate formation, working towards a Master of Arts in Theology at the Pontifical Faculty of the Immaculate Conception, Dominican House of Studies in Washington, DC. Brother Martin converted to the Catholic faith while attending Hillsdale College. The very idea of a cooperative brother may seem mysterious to some. Why, they wonder, would someone take solemn vows if they’re not going to “go all the way” to the priesthood? This attitude betrays a misunderstanding of vocations, and Brother Martin’s assessment of such a question speaks to this. 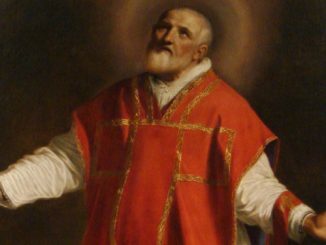 “Celibacy is not just a cost that has to be paid for ordination to the priesthood,” he said. 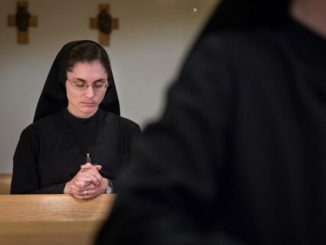 “Rather, celibacy allows a man or woman to be free to dedicate their lives to God in a way commended to us by Our Lord Jesus Christ and the Apostle Paul in the Scriptures.” Men become religious brothers because they are responding to a particular call to do so, said Brother Martin. Cooperator Brothers profess the vows of obedience, poverty, and chastity, and their lives are centered around (and dependent on) a common life devoted to prayer and liturgy, study and scholarship, preaching and other ministries, and caring for one another. According to the Province of St. Joseph’s website, “The cooperator brothers have a role in the apostolate of the whole community not only by their work of providing for the needs of the convent, but also by a ministry properly so called both by working with the priests and by engaging in their own apostolic activity according to their talents.” In the Province of St. Joseph, these brothers are involved in just about every facet of ministry, including religious education and pastoral counseling; community ministries such as financial management and supervision, maintenance and services of buildings and properties, health care of the brothers, and food service management; and professional ministries, including social work and healthcare. 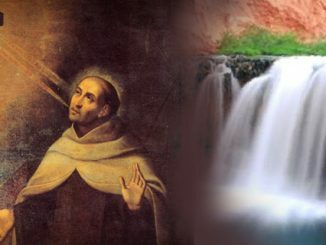 Today’s Dominican Cooperator Brothers are the latest in a long line of holy and devoted men, including two particularly of note: St. Martin de Porres and St. Juan Macias. These holy men of service are models for the life of a cooperator brother in the Order of Friars Preachers. “I am very grateful for what great things God has worked for me in my life,” Brother Martin said. “Awareness of the cooperator brother vocation is important for the Church to foster vocations. For more information on the Dominican Order’s cooperator brothers, and information regarding the upcoming vocation weekend, please visit the website of the Dominican Province of St. Joseph.